Nowhere on earth is as saturated with salsa as the tropical city of Cali, Colombia — hailed as the world salsa capital. From the moment you arrive, you’ll be greeted with the tumbling trumpets and rolling conga of salsa, filling corner stores, dive bars, old-school cabarets, and taxis. But is Cali really better for salsa than other top salsa destinations like New York, LA or Puerto Rico? Our team of pro dancers at our Salsa School in Cali think so. Here are 5 reasons why. Yes, Cali may be 2,000 miles from the cradle of salsa in New York. And no, it isn’t home to droves of world-famous salsa bands, like Puerto Rico. But by the numbers, there are simply more future dance partners awaiting you in Cali’s vibrant venues than anywhere else. Numbers alone can’t do Cali salsa justice. As Yoda advises young Luke Skywalker, just reach out with your feelings, and you’ll sense that the city is strong in the (salsa) Force. The city’s drive to dance is inexhaustible. So much so that you could easily bar hop between multiple salsa parties 7 days a week. 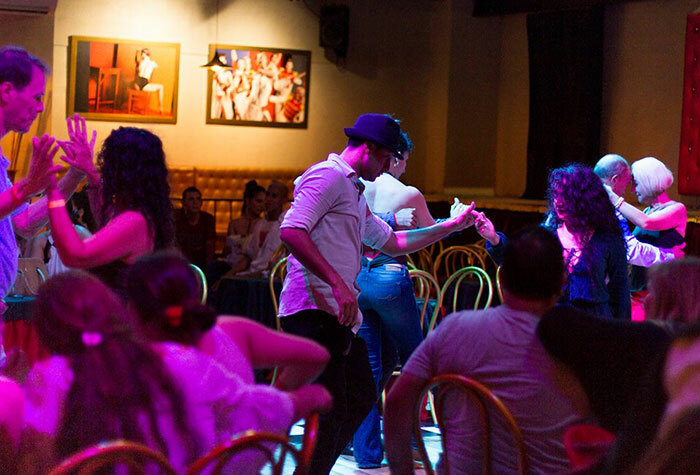 From boisterous Thursday nights at Tintindeo to sophisticated Sunday evenings the old-school at El Mulato Cabaret — the city is alive with salsa 24/7. It’s Cali’s secret source of power, a vibration connecting the entire city. Caleños jump on any occasion to celebrate salsa — and do so with sweaty abandon at countless annual festivals and special events. 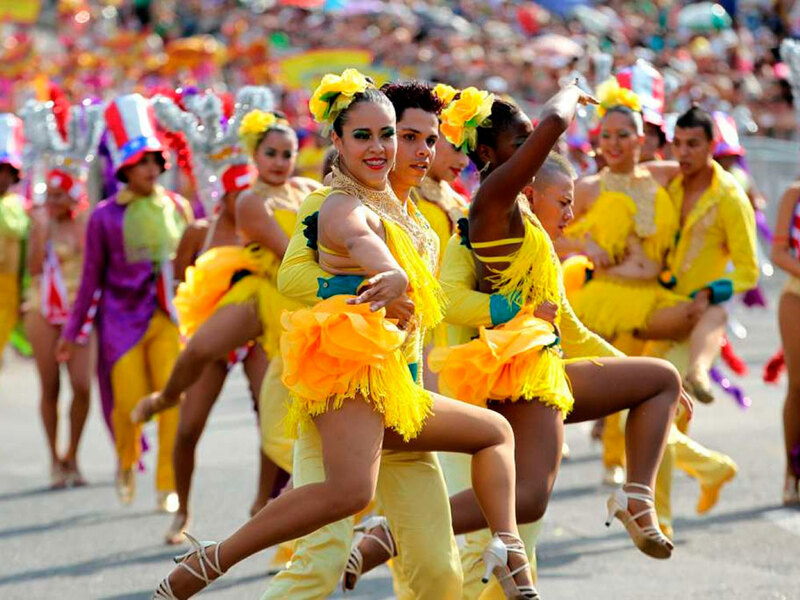 These range from massive global phenomena like the Feria de Cali, the city’s biggest cultural festival, to smaller but no-less vibrant events like the monthly Salsa in the Park / Salsa Al Parque, a free outdoor event with live dance performances and top DJs. In September, Cali hosts the Global Salsa Festival, welcoming over 5,000 dancers from around the world. But truthfully — come at any time of year and they’ll be some rad show or live music event. Curious about what’s going? Check in with us at Salsa Classes Cali. In our Salsa school in Cali, you can always meet up with our local pros for a night on the town. Our salsa school in Cali cares about the history of the dance. When salsa spread through Latin America in the 1940s-70s, its contagious fusion of Afro-Latino rhythms really sunk in with people — from Panama to Peru. But nowhere was salsa embraced as passionately or as permanently as in Cali. Why? Anthropologists theorize this is because Cali’s large Afro community, descended from former slaves on Colombia’s coast, was especially unified and alive with West-African culture. As Cuban rhythms started filtering in through radio waves, Latin America’s second largest Afro city heard more than music. Cali identified on a deep level with the lyrics, their stories of former slaves, and the music’s rich explorations of ancestral West-African rhythms. To this day, when in Cali, you get the feeling: salsa is more than music and dance steps. It is part of the city’s identity, living history, and consciousness. Last but not least, here at our salsa school in Cali, we give you our personal favorite reason why this city is the best place on earth to dance salsa. Colombia frequently ranks as one of the happiest places on earth. The country’s secret? 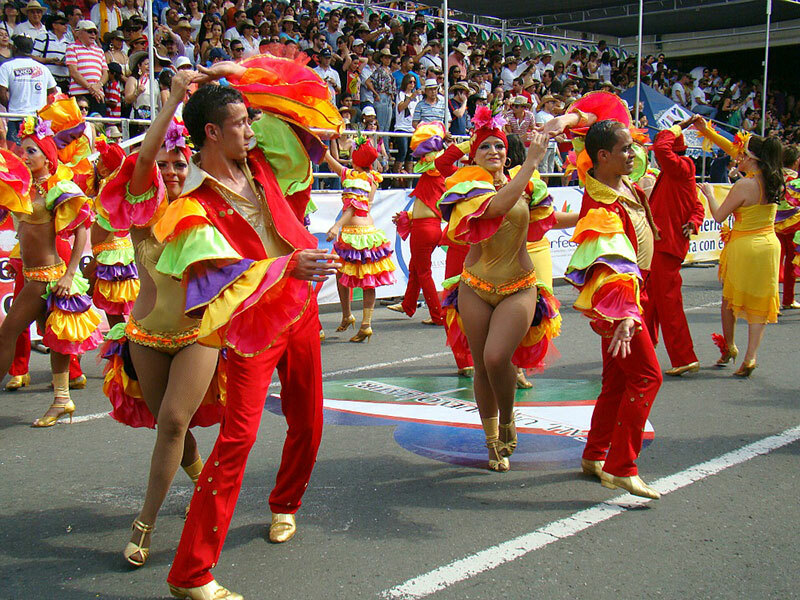 When interviewed, Colombians often site their love of music, community, and rumba (celebrating / dancing). Cali lives these values to their fullest — and nowhere is it more evident than on the dance floor. You can feel it in people’s irrepressible smiles under the colored lights of salsatecas — salsa fuels happiness, and happiness fuels salsa, in a self-reinforcing, sweaty cycle of spins and shimmies.